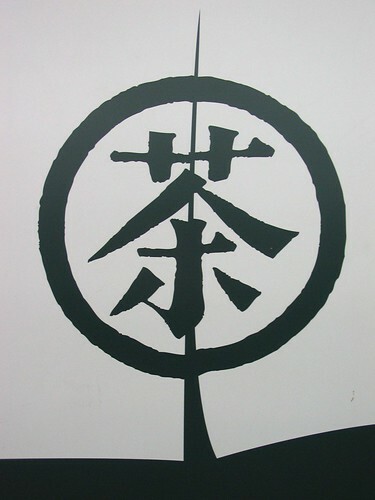 I've just this week passed the mark of writing here at Greentea.tk for six years. Since I pondered the third anniversary, a whole lot has happened although very little has actually changed, if you get my drift. The first time I ever encountered the word 'blog' was in a 2002 Sunday Times Travel article which discussed how disgruntled travellers were posting online to spread the word about bad hotels and sub-par tours. Via the old JapanToday.com forum, which I was hooked on for a few months in grad school, I found Kim's 35 Degrees blog. It was the first one I really read. I came to the conclusion that 'blogging' was something ex-pats did to keep in touch with friends and family in the homeland. I now know that's not true although ex-pat blogs are still the most interesting to me. 'Stranger in a strange land' is a compelling theme. When I moved home from England in 2003, I enjoyed almost a year of funemployment during which I cultivated many hobbies like knitting, kendo, political volunteerism, cooking, weight training and yes, blogging. Back then, I wrote more than I do now, although I posted far fewer photos. The first two years of my posts are lost forever since they were hosted on my old .Mac account via iBlog. The iBlog program required me to figure out a lot of my own formatting via HTML. I was not always successful in my trial-and-error coding. I should have used the free Blogger platform right from the start. Over six years, my most popular content has been the two posts with 17 comments each about the classic French Immersion tune C'est l'Halloween. My visitor stats start to climb every October, but people come here looking for that song all year round. The runners-up for biggest traffic drawing searches are Shinzaburo or Ichizawa Hanpu, 'winter fashion', and "I'm a vegetarian but my boyfriend isn't" even though my post was about the opposite scenario which I'm no longer in anyway. Speaking of hits and visitors, I know there are lots of people reading who have never commented. Why not make my day and 'de-lurk' just this once. Say hello! Hello, long time lurker here. I stumbled across your blog looking up some computer problem, back when your Mac had died. I enjoy your writing, and love your photography. You are one of the first people I followed on Twitter (random pick). I then followed you on Flickr and finally figured out you had a popular blog here. I appreciate what you do and how you share it with us. Please keep posting. 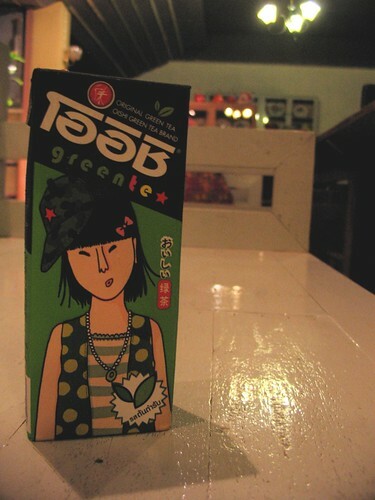 Hi, I stumbled upon Green Tea while on iblogger.net looking for help for a problem (I too had an iblog and a .tk account). That was back in 2004. I enjoy tour travel accounts I think the most. It's funny now how old timey this blogging thing seems now with just about everybody on MySpace, Facebook and whatever. Thanks for taking the time to blog and I wish you the best. And! I can't even remember how long I've known you. (do you remember?) 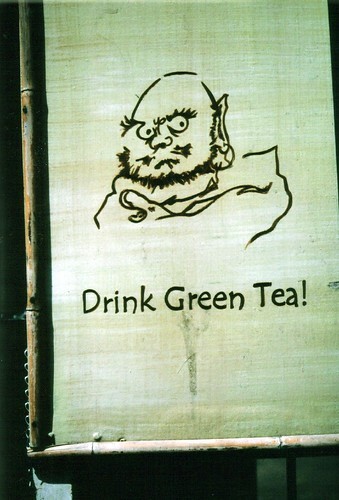 Anyways, "green tea, Otanjo-bi omedetou!" I know I've commented before, but hello again! I've been reading your blog for years now. Yes blogging seems to have come a long way from 2002. From a small base it has risen where it played a pivotal role in US elections. Hooray for six years! Checking in on what's up in the world of Green Tea is always a joy. I enjoy reading your accounts of the fascinating things in and around TO, Ontario and around the world. A nice bit of catharsis (and inspiration) for us less adventurous travelers. Hi, another lurker here. I think I found your blog after searching for stuff related to Hyogo-ken, Kobe, etc. I used to live in Amagasaki and saw you had lived in Nishinomiya so I started reading. Keep coming back for your pics, travel stories and all your other interesting content. I ran across your blog about a month ago in a Google search for Bhutan. My wife and I are going there for 11 days arriving on October 18th. We have enjoyed your comments a great deal and look forward to your updates and great photos. Thanks and maybe we'll run into to you yet.